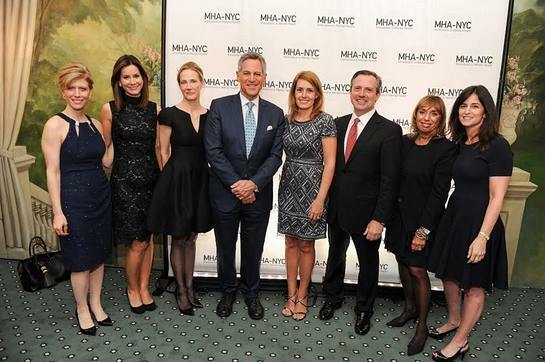 On Tuesday night the Mental Health Association of New York City (MHA-NYC) brought together over 300 supporters, guests and business leaders to call for greater awareness and support for the many faces of Mental Health. WABC Eyewitness News Anchor Bill Ritter hosted the emotional evening honoring Patrick J. Kennedy and focused on the personal stories of those challenged and the need for early detection and greater awareness. Every speaker on stage spoke about why they too were one of the many faces of mental health or a part of the vast support system connected in some way to the cause. Host Bill Ritter talked about the huge disparity between the numbers- one in four adults in this country has had a mental health challenge – and the resources devoted to mental wellness. Antigone Davis, the head of Global Safety at Facebook, talked about their moving work with the National Suicide Prevention Lifeline to enable “compassionate connections on Facebook and our efforts to provide support for those dealing with depression and thoughts of self harm.” Working collaboratively with experts in the field, Facebook has developed enhanced tools and resources for when people encounter this kind of content. Davis added that this work was a labor of love for her, having lost someone she knew well to suicide while in college. It was 21-year-old D.J. Wilkerson, who brought the audience to its feet with his story of survival and ultimately triumph. Wilkerson, said he he had been called a “nothing” for much of his life. He began a self described “decline”, faced trouble with the law, dropped out of school and was hospitalized in a psychiatric ward of a hospital. He turned his life around, with the help of MHA-NYC’s Adolescent Skills Centers and beamed as he described his GED, two internships, successful job at GAMESTOP and educational and career dreams. The night came to a perfect close when Amy Kennedy, Education Director of the Kennedy Forum and wife of former Rhode Island representative Patrick J. Kennedy accepted the night’s award as a champion of mental health on her husband’s behalf. Kennedy said the lessons learned from Wilkerson’s story, and all those shared throughout the night, were a perfect example of the need for more education and early intervention to help all those struggling with mental health challenges. Event Chairs for the MHA-NYC 2016 Gala included: Jennifer Ashley, Ph. D., Global Director of Human Resources for CBRE, RIc Clark, Senior Managing Partner and Global Head of Real Estate at Brookfield, and CEO of Brookfield Property Partners, Charles P. Fitzgerald, founder and and Senior Managing Partner of of V3 Capital Management, L.P.
Other notable guests included: Rebecca Jarvis, Chief National Correspondent ABC News, Tamsen Fadal, anchor at WPIX TV, former New York Rangers defensemen Tom Laidlaw, former New York Giants tight end Mark Bavaro and former New York Jets defensive back and broadcaster John Dockery. 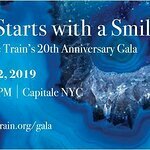 Sponsors for the MHA-NYC 2016 Gala included: Brookfield, CBRE Group, Inc., Cynthia Eckes, V3 Capital Management L.P., Cynthia Zirinsky, Jennifer Ashley, Ric Clark, Sheri & Kevin Danehy, Charles Fitzgerald, Diana Gaines, Alison Lewis & Newmark Grubb Knight, Frank, Alaina Melichar, Morgan Stanley, Alston & Bird, Balyasny Asset Management, EY, Facebook, Inc., Gracie Square Hospital, Bernie Groveman, Robert Gottesman, Haynes and Boone, LLP, Kelly Drye & Warren LLP, Meyer Mintz & Berdon LLP, Montefiore Medical Center, National Football league, Joseph F. Peyronnin, III and Susan Zirinsky, Ellen and Alan Rutsky, Anderson, McCoy & Orta, Beacon Health Solutions, Lawrence Calcano, Johnson &Johnson, Magellan Health, Paul Massey, Michael Nissan, Otsuka Pharmaceutical Development & Commercialization, Inc., Corbett Price, Lynn Sherman, S. Donald Sussman for Paloma Partners, Kenneth and Anna Zankel.